Yannick Nézet-Séguin is now in his seventh season as the eighth artistic leader of The Philadelphia Orchestra. He joins a remarkable list that cover’s the Orchestra’s 118 seasons: music directors Fritz Scheel, Carl Pohlig, Leopold Stokowski, Eugene Ormandy, Riccardo Muti, Wolfgang Sawallisch, and Christoph Eschenbach, and Charles Dutoit, who served as chief conductor from 2008 to 2012. Under such superb guidance The Philadelphia Orchestra has served as an unwavering standard of excellence in the world of classical music—and it continues to do so today. Yannick’s connection to the musicians of the Orchestra has been praised by both concertgoers and critics. The New York Times has said, “Mr. Nézet-Séguin … showed complete command of the score and all its entrails and contrails. He also gave further evidence of a superb rapport with this great orchestra.” He is embraced by the musicians of the Orchestra, audiences, and the community itself. His concerts of diverse repertoire attract sold-out houses, and he has established a regular forum for connecting with concert-goers through Post-Concert Conversations. Philadelphia is home and the Orchestra continues to discover new and inventive ways to nurture its relationship with its loyal patrons who support the main season (September-May) in Verizon Hall at the Kimmel Center for the Performing Arts. The Kimmel Center, for which the Orchestra serves as the founding resident company, has been the ensemble’s performance hall since 2001. The Philadelphia Orchestra Association also owns the Academy of Music—a National Historic Landmark and the oldest operating opera house in the nation—as it has since 1957. Each year the Orchestra returns to the “Grand Old Lady of Locust Street”—where it performed for 101 seasons before moving to the Kimmel Center—for the Academy Anniversary Concert and Ball, one of the city’s most highly anticipated and attended events. Beyond its robust concert offerings at the Kimmel Center, the Orchestra also performs for Philadelphia audiences during the summer months at the Mann Center for the Performing Arts, as well as in venues across the region, including Penn’s Landing, Longwood Gardens, and the Philadelphia Navy Yard. Many of these performances are part of the ensemble’s free Neighborhood Concert Series as well as its educational and community partnership programs—all of which create greater access and engagement with classical music as an art form. The Philadelphia Orchestra continues its decades-long tradition of presenting collaborative learning and community engagement opportunities for listeners of all ages across the Delaware Valley—a tradition dating back to 1921 when Leopold Stokowski initiated concerts exclusively for children. Today it serves as a catalyst for cultural activity across Philadelphia’s many communities, building an offstage presence as strong as its onstage one and inspiring a uniquely Philadelphia energy. With Music Director Yannick Nézet-Séguin, a dedicated body of musicians, and one of the nation’s richest arts ecosystems, the Orchestra launched its HEAR initiative to become a major force for good in every community that it serves. HEAR is a portfolio of integrated initiatives that promotes Health, champions music Education, eliminates barriers to Accessing the orchestra, and maximizes impact through Research. These projects support those experiencing trauma such as homelessness; thousands of public school students; citizens of Philadelphia who will have opportunities to experience the Orchestra personally; and those not connected with the Orchestra or symphonic music, bridging all ages and backgrounds. To ensure access for all, the Orchestra inspires new generations of listeners through programs for children and adults, including Sound All Around (designed for children ages 3-5), Family Concerts (aimed at children ages 6-12 and their families), School Concerts (free for School District of Philadelphia elementary schools), TeenTix (for high school students), and eZseatU (allowing full-time college students to attend an unlimited number of Orchestra concerts for a $25 annual membership fee). The Orchestra engages adult audiences more deeply in its performances through learning programs, including free PreConcert Conversations and Lecture/Luncheons with guest speakers. In the 2014-15 season The Philadelphia Orchestra, in partnership with Drexel University, launched LiveNote™, an interactive concert guide for mobile devices that allows concert-goers to follow along with real-time custom musical, emotional, and historical highlights. The Orchestra’s award-winning Collaborative Learning initiatives engage over 50,000 students, families, and community members through programs such as PlayINs, side-by-sides, PopUP concerts, free Neighborhood Concerts, School Concerts, and residency work in Philadelphia and abroad. The Orchestra’s musicians, in their own dedicated roles as teachers, coaches, and mentors, serve a key role in growing young musician talent and a love of classical music, nurturing and celebrating the wealth of musicianship in the Philadelphia region. 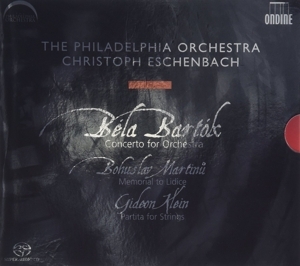 Through concerts, tours, residencies, presentations, and recordings, the Orchestra is a global ambassador for Philadelphia and for the United States. Outside Philadelphia, the Orchestra performs annually at Carnegie Hall and enjoys a three-week summer residency at the Saratoga Performing Arts Center in New York—a venue that was built for the Orchestra—as well as a strong partnership with the Bravo! Vail Music Festival, which brings the world’s finest orchestras to Colorado each summer. The Orchestra also has a long history of touring, having first performed outside Philadelphia in the earliest days of its founding. The Philadelphia Orchestra was the first American orchestra to perform in the People’s Republic of China in 1973. In 2012 the ensemble reconnected with its historical roots in China and more deeply embraced its role as a cultural ambassador by launching a new partnership with the National Centre for the Performing Arts (NCPA) in Beijing, a pilot residency that united the Orchestra with talented young Chinese musicians and composers to further develop their orchestral skills. The residency also served to bring orchestral music, through performances and master classes, not only to China’s major cities but also further into the provinces. It connected through the hearts of local musicians to their supporting communities, through the sharing of musical talents between its own musicians and Chinese musicians, engaging in music education, and spreading the joy of classical music with citizens in residential neighborhoods and at landmark historic sites. The success of this pilot program was confirmed when the Orchestra and the NCPA signed a long-term agreement to extend this partnership into future residency programs, and in May-June 2013 the Orchestra triumphantly returned for its Residency and Fortieth Anniversary Tour of China—with over 50 activities in 15 days. The Philadelphia Orchestra completed its 2014 Tour of Asia and China Residency in June 2014, marking Music Director Yannick Nézet-Séguin’s first tour with the Orchestra. The ensemble’s May 25 concert in Shanghai was broadcast live via simulcast, reaching over 200,000 people. In May-June 2015 the Orchestra and Yannick undertook their first joint tour of Europe, receiving wide acclaim from packed houses. The Orchestra and Yannick returned to China in 2016, where they signed a new five-year agreement with NCPA and a five-year agreement with the Shanghai Media Group, continuing the strong ties between the Philadelphians and the Shanghai Philharmonic. The Philadelphia Orchestra has long pushed the boundaries of convention in the classical music realm. Signature to such a reputation are world or American premieres of such important works as Mahler’s Symphony No. 8 (“Symphony of a Thousand”), Stravinsky’s The Rite of Spring, Schoenberg’s Gurrelieder, and Rachmaninoff’s Symphonic Dances. The Orchestra maintains a strong commitment to collaborations with cultural and community organizations on a regional and national level and has reinvigorated and launched new partnerships with Pennsylvania Ballet, Philadelphia Live Arts (FringeArts), Philadanco, Opera Philadelphia, the Curtis Institute of Music, Ridge Theater Company, and stage director James Alexander, among others. 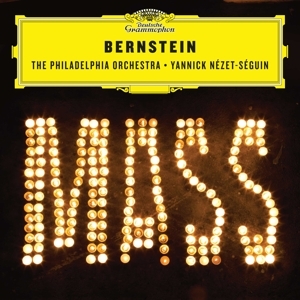 As part of its commitment to bringing classical music to audiences wherever they may be, the Orchestra returned to recording under Yannick’s leadership with a CD on the prestigious Deutsche Grammophon label of Stravinsky’s The Rite of Spring and Leopold Stokowski transcriptions of works by Bach and Stravinsky. 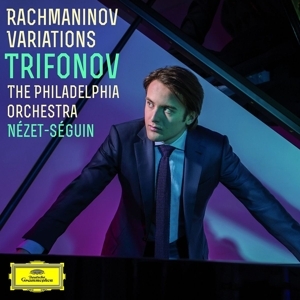 A second disc, featuring Rachmaninoff’s Rhapsody on a Theme of Paganini with pianist Daniil Trifonov, was released in August 2015, and their third disc, Bernstein’s MASS, was released in March 2018. 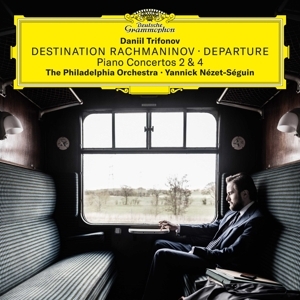 The next disc in a series of the complete Rachmaninoff piano concertos with Daniil Trifonov, the Second and Fourth, was released in October 2018. 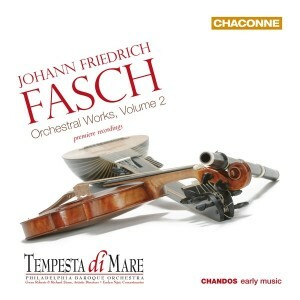 These continue the Orchestra’s remarkable history in this area, having made its first recording in 1917 and having amassed an enormous discography in the intervening years. The Orchestra also currently makes live recordings available on popular digital music services such as iTunes and Amazon, among others. Beginning in Yannick’s inaugural season the Orchestra has also returned to the radio airwaves, with weekly Sunday afternoon broadcasts on WRTI-FM. And in 2017 the Orchestra launched a national radio series on SiriusXM, making it the only American orchestra to provide exclusive content to SiriusXM on a regular basis. These recent initiatives carry on a legacy that boasts an extraordinary record of media firsts, including being the first symphonic orchestra to make electrical recordings (in 1925), the first to perform its own commercially sponsored radio broadcast (in 1929, on NBC), the first to perform on the soundtrack of a feature film (Paramount’s The Big Broadcast of 1937), the first to appear on a national television broadcast (in 1948, on CBS), and the first major orchestra to give a live cybercast of a concert on the internet (in 1997). The Orchestra also became the first major orchestra to multi-cast a concert to large-screen venues through the Internet2 network. 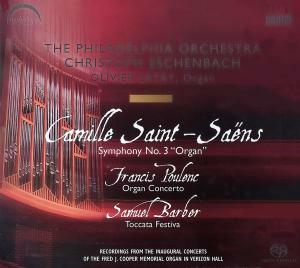 For more information on The Philadelphia Orchestra, please visit philorch.org.